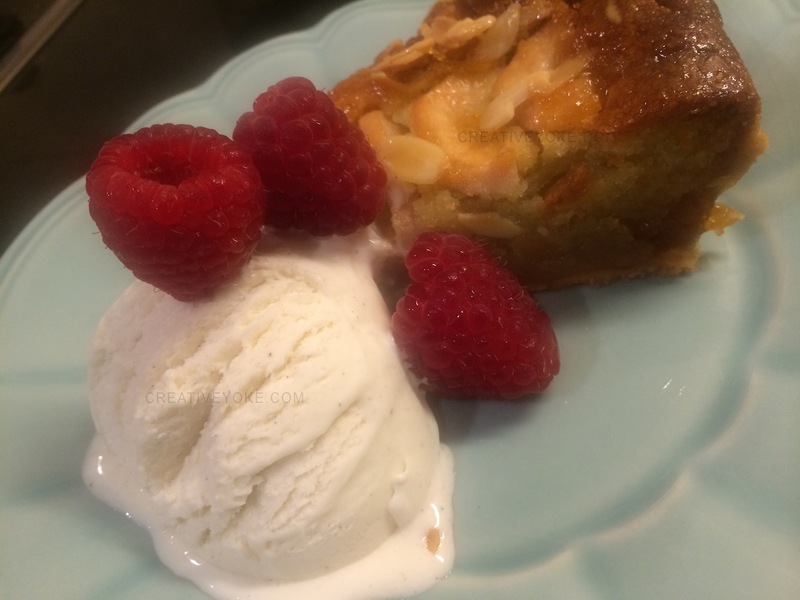 I was watching Great British Bake Off last week, and was blown away by the Frangipane Tart, I had to make it! 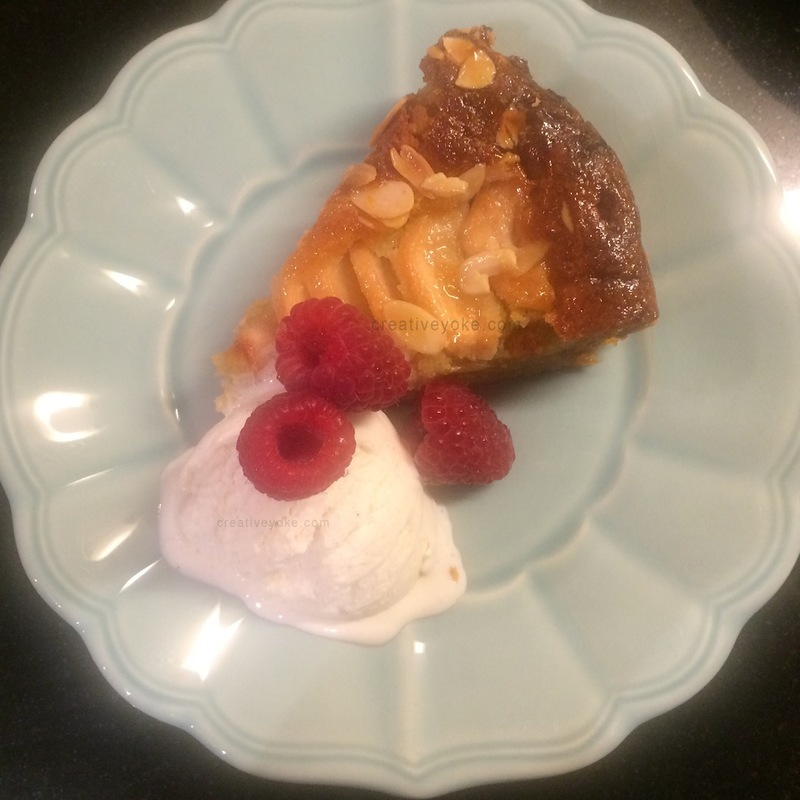 To anyone living in UK or Ireland, it’s more or less a Bakewell Tart, made with poached pears. So I made a Frangipane tart, I didn’t use any recipe for the pastry, I always make my own, I understand the texture of it and know how it feels in my hand, so I make it to eye. 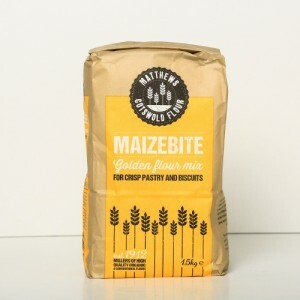 I also used Matthews Cotswold Mazebite flour a blend of plain flour and fine maizemeal, which ALDI were selling recently and I’ve used it on lots of things, it gives you a lovely short pastry, nice texture but I’m not sure you can buy it anywhere in Ireland, the good news is that they have an online shop with dozens of other types that you don’t normally find in regular supermarkets. When it comes to tarts, I usually fail, I can make French Macaron’s, delightful meringue,gorgeous ganache, honeycomb, praline…. great big blooms made from sugar, but when it comes to a plain, bog standard apple tart, I can’t make one, and it’s the easiest thing in the world, the most basic thing that everyone learns to bake with….mine mutate somehow. So I was thrilled when this worked!! What would Mary Berry Say? A tip I’ll give you when it comes to the pastry, blind bake it a bit longer than usual, normally I’d blind bake for about 15 minutes and then take the foil and baking beans off. You need to bake it, yes but you only want the tiniest hint of a golden colour. I say this because the Frangipane filling needs to bake for almost an hour, if you make your pastry case too golden, you’ll end up with a dark amber-possibly charred pastry case and you don’t want to ruin your hard work. I saw this happen on GBBO, some contestants even tried NOT blind baking the pastry before (bad idea). Mine was a little too golden for my liking. 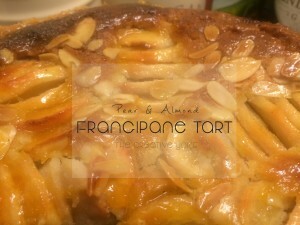 but I could have used less Frangipane filling, it takes ages for the middle to set. You don’t have to go out and spend money on ceramic baking beans just use rice or dried kidney beans to weigh down the foil on the pastry. For the pear poaching, traditional seasonings for the syrup are clove and cinnamon, I added a good glug of Amaretto liqueur like Disaronno, a tablespoon of apricot jam and some peeled orange skin, I need good flavour’s in my baking to excite the taste buds. Frangipane tart is even more divine when served warm with a scoop of good quality vanilla ice cream. Lots of recipe’s call for tinned pears, but honestly….WHY would you do that when such gorgeous fresh fruit is readily available in greengrocers.. 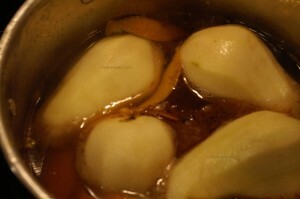 I bought 4 delicious, mouth watering conference pears, peeled them and poached them. To remove the core, I cut the pears in half, lengthways and scooped it out with a large round piping nozzle and it did the trick! 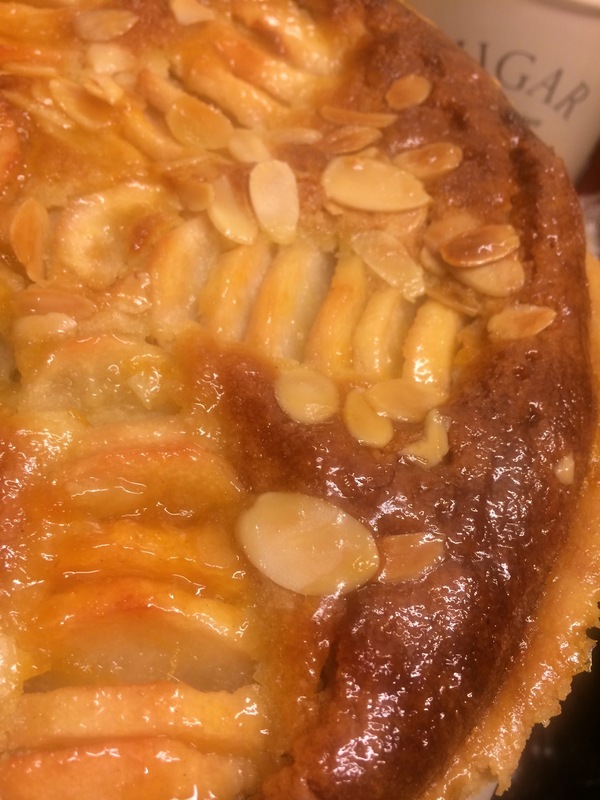 If you don’t like pears, just smear a layer of raspberry jam on your pastry, fill it with frangipane and scatter with slivered almonds and bake- you have a Bakewell. 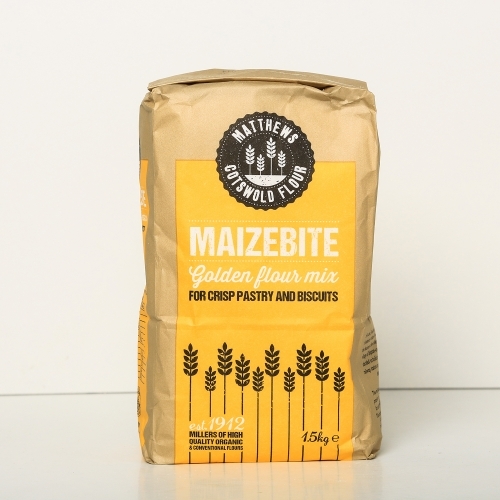 Begin with the shortcrust pastry, in a bowl, combine the flour and butter and rub with fingers until they resemble fine breadcrumbs, ad icing sugar and egg yolk and stir together with a spoon. 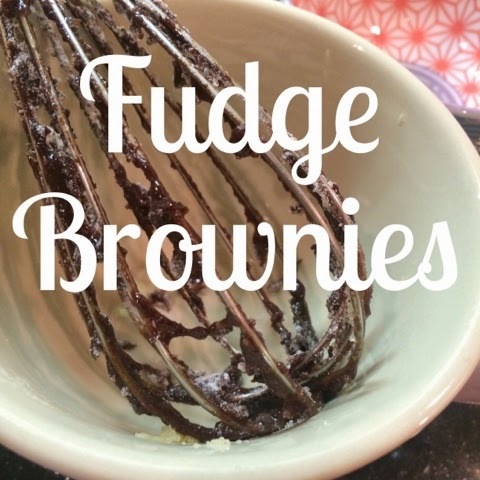 If you find the mixture is still too dry, add a tablespoon of ice cold water until the dough forms. 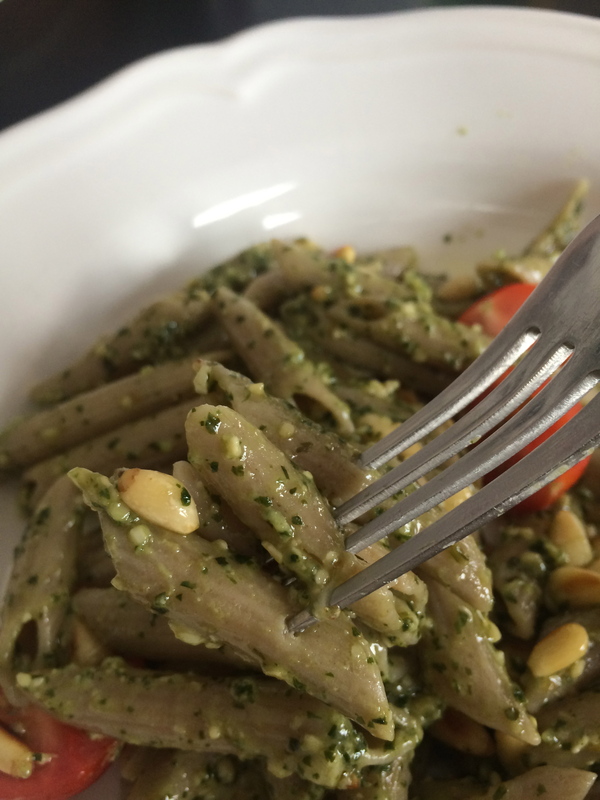 Shape into a disc and leave in the fridge for two hours, preferably overnight. Roll out the pastry between two sheets of cling film and then lift into a a tart tin (be careful not to stretch the pastry it’ll always go back) leave the excess pastry hanging over and place in the fridge for another 30 minutes and then prick the base with a fork several times to prevent puffing, cover with foil completely and baking beans and place tin on a baking sheet (excess pastry still intact) and place in a preheated oven for 15 minutes. 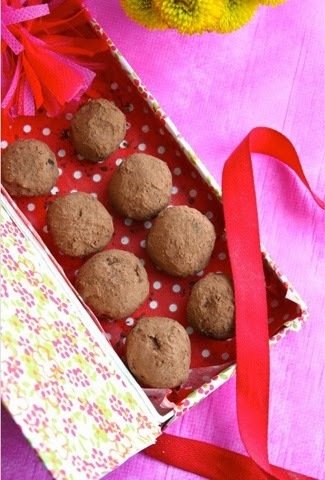 Remove foil and bake for a further 5 minutes. To poach pears, place 1 teacup full of sugar and two with water in a saucepan and stir until sugar has dissolved, add whatever flavourings you want, I put some apricot jam in, a few cloves and a cinnamon stick, allowed it to boil and turned the heat down to low for about 15 minutes, taking the pears out then before cutting in half and coring. To make the Frangipane filling, beat butter and sugar until fluffy, add ground almonds, almond essence, and eggs, beat a little more and add flour until combined but don’t overbeat the flour. While the tart is still warm, after baking, place 2 tablespoons of apricot jam in a saucepan with a half tablespoon of water and on medium heat, stir until combined and runny, with a pastry brush, brush the glaze all over the top.